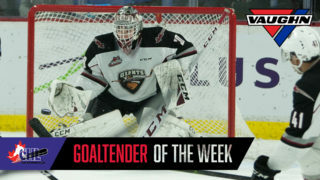 Friday night in Spokane, WA the Vancouver Giants (45-15-2-2) dropped a 4-1 decision to the Spokane Chiefs (36-20-2-5). 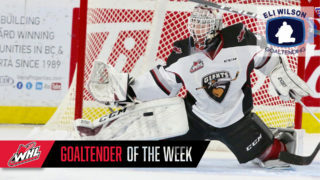 Jake McGrew struck twice for the Chiefs while goaltender Bailey Brkin turned aside 37 Giants shots to help the Chiefs to their first victory against the Giants in four tries. Alex Kannok Leipert responded with a goal for the Giants in the second period on a power play. Trent Miner stopped 20 Spokane shots. It marked just the third regulation loss for the Giants in a span of 27 games. 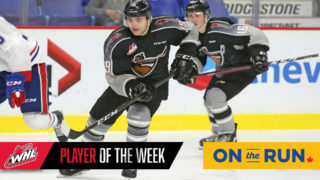 SPO – Filip Kral (8) opened the scoring for Spokane at the 7:56 mark of the first when he converted off a give-and-go rush with Luke Toporowski. SPO – Jake McGrew extended Spokane’s lead to 2-0 when his shot from the right-wing snuck past Trent Miner for his 26th and his first of two on the night. SPO – With 21 seconds remaining in the period, Jaret Anderson-Dolan notched his 16th of the season on a power play. Ty Smith and Eli Zummack assisted on the play. VAN – Late in the second period Alex Kannok Leipert (4) got the Giants on the board when his shot from the left-wing circle switched directions and snuck past Bailey Brkin. SPO – 64 seconds later the Chiefs grabbed their final goal of the night when Jake McGrew (27) tapped home a Riley Woods feed off an odd-man rush at 18:56. 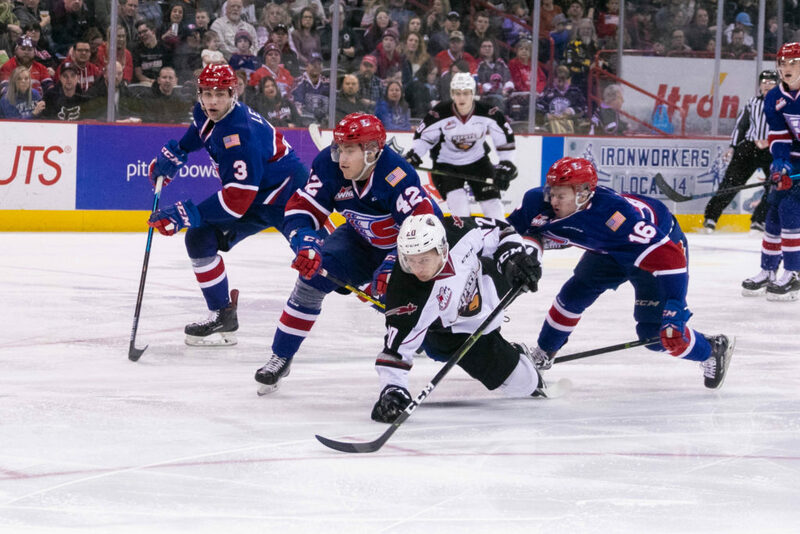 Next Giants Game: Saturday night in Tri-City against the Americans at 7:05 PM. 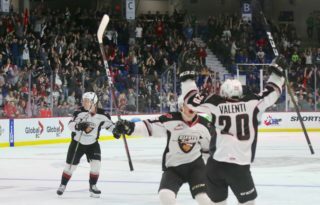 All five goals scored in Friday night’s game were scored by NHL drafted players: Filip Kral (Toronto), Jake McGrew (San Jose), Jaret Anderson-Dolan (LA Kings) and Alex Kannok Leipert (Washington). The Giants have now scored a power play goal in seven straight games. During that span the power play has gone 10/27. Friday’s loss marked just the third regulation loss for the Giants since January 26th and their first against Spokane this season. The Giants finish the season with a 3-1 record against the Chiefs. Forward Brayden Watts returned to the Giants lineup after missing the past 10 games with an upper-body injury. The Giants head into tomorrow night’s matchup with Tri-City trailing Everett by two points for first place in the Western Conference standings.